The official FIDE website informs that the bidding procedure for the match is already open. The main condition for the applicants is that they must provide a prize fund of at least 200.000 euro. On April 20th, 2015, the bidding process will be closed, FIDE will consider all the incoming bids (in case there will be any) and make the choice in the next 20 days. 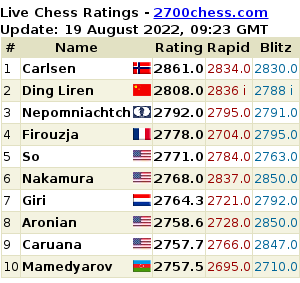 Traditionally, there are problems with organization of female chess events, even the most top ones. For example, nobody wanted to host the World Championship knock-out in 2014, that's why it will be held this year in Sochi. 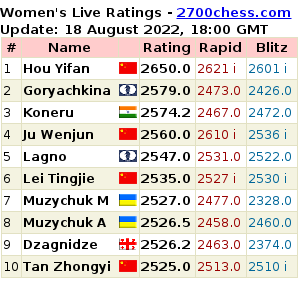 The latest W.C. match has taken place in 2013 in China; this fact has obviously reduced the chances of Hou Yifan's rival, Ukrainian WGM Anna Ushenina, although the latter has got financial compensation for the unequal conditions. The 2011 Hou Yifan - Koneru match has been held in Albania. FIDE opened the bidding procedure for the World Women's Championship 2014. This will be a knock-out competition with 64 participants. The championship is scheduled to take place from October 9-31.
Who Will Host World Championship Match 2014?